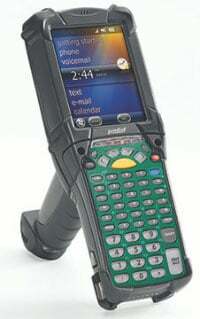 MC9190-G30SWEQC6WR-KIT	 MC9190-G Complete Kit, Starter kit bundle that includes the PDT (Windows Mobile 6.5, condensation-resistant version, WLAN 802.11a/b/g, Bluetooth, 256MB/1GB Flash, 3.7" VGA color display, 2D Imager SE4500, 53 key. Includes: all starter accessories	 Call for price. The Motorola MC9190-G30SWEQC6WR-KIT is also known as MC9190-G30SWEQC6WR-KIT	or MC9190G30SWEQC6WRKIT	.